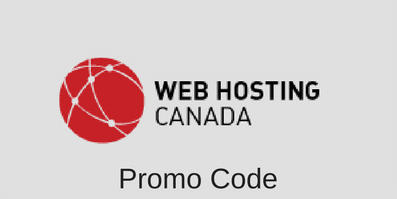 When choosing the best hosting plan for your personal or business needs, a decision shouldn’t be made haphazardly. Without sounding too dramatic, it’s one of the most important decisions of your (online) life. To make the process a little easier, here’s a 7-step checklist to make sure you make the right decision. Cost (duh!). If you can’t afford it, it’s probably not the best option for you. Some hosting companies are literally double the cost and offer nothing additional, so don’t get tricked by the whole, “we’re more expensive so we must be better” scheme. In general you should expect to pay somewhere between $5-10/month for normal shared hosting depending on the plan you choose, duration committed to, and so on. Unlimited domains allowed. Some hosting plans only allow you to host one domain for the $5-10 monthly fee and then you have to spend an additional $5-10 (again monthly) to add another domain. Horrible idea – stay away. Most of the “big hitters” in the hosting industry allow unlimited domains on a single account, and this is absolutely what you want to look for. Even if you only have one domain now, think down the road… you could have two or even twenty! Unlimited disk space and bandwidth. Similar to domains being allowed, having unlimited disk space and bandwidth is just as important. You never know where your online ventures are going to take you – for example, say you start adding videos to your websites. All of a sudden more bandwidth is used (text-based websites use less, of course) and as more visitors stop by, the strain put on the hosting company’s server increases. With a low cap this could be a problem… with no cap at all, you’re golden. Freebies included. To incentivize you to sign up with their hosting, plenty of hosting companies offer some great freebies to get you on board. Such incentives include advertising credits for Google AdWords and Microsoft AdCenter, website building and SEO tools, SSL certificates, and more. The more freebies the better, but make sure the freebies aren’t offered because the rest of the offerings are lacking. Track record. Brand new, no-name hosting companies you probably want to stay away from. Stick with the companies that have thousands if not tens of thousands of happy customers and if they’ve been around for many years with a plethora of positive hosting reviews, there’s probably a reason why. You don’t want to be the guinea pig that has that horrible experience and has to spend hours upon hours transferring all of your websites, content, etc. Ability to upgrade. You never know how popular your website are going to become. Maybe you are getting five visitors a day now, but in a couple months, that number might multiply one hundred fold. Even one thousand fold – how cool would that be! That’s what happens when your content, videos, or website in general goes viral. The unexpected occurs. Because of this, you want to leave your options open. Preferably your hosting company will offer higher-end alternatives such as virtual private servers (VPS) and dedicated servers in case the need arises. Customer support. What’s more important than customer support, really? You’re going to run into issues. You’re going to need help. And you’re going to pray that the customer support line has someone on the other end when you give them a ring (preferably someone pleasant and helpful). I’m a big fan of phone support – email simply doesn’t cut it for me when it comes to hosting… there’s too many hiccups that can occur that I want an immediate resolution for as emails can take in the 24-72 hour range to receive a response. I hope you took some notes. If you didn’t, you’re in luck – this article will (probably) not self-destruct so feel free to open up a couple new tabs, bring up your top five hosting options, and see which company fulfills the majority (or even all) of your hosting needs. Out of curiosity – post your answer – which of the 7 is the most important when it comes to your needs? This entry was posted in Articles on November 12, 2012 by Ross Cohen.